When we first moved to the Smokies Tim and I didn’t know the local slang. When we talked about places in the park, we used their full and proper terms. We found out rather quickly, through Tim’s work at the local outdoor shop and spending time in the national park, what the nicknames of our favorite places were. Even though we moved here for my job, we were always looking to be closer to our national parks. Our first month as Tennessee residents we drove into the National Park every weekend looking forward to watching the stars in the immense darkness of isolated nature. One of our favorite places to go was Clingmans Dome. A “dome” we learned after making Tennessee our home is a rounded mountain ridge. This particular dome we have come to love for sunrise appreciations, a tradition I started while working as a barista at a Starbucks store in Orlando (shout out to Shelly! ), is quite an impressive one. What happens when you take a 3 week break from social media? Awesome weekends with your favorite human (@wanderingwrangler) and lots of moonshine! 🥃 Here is to good views, good brews, and good friends. At 6,643 feet tall it is the highest point in the Great Smoky Mountains and along the Appalachian Trail. 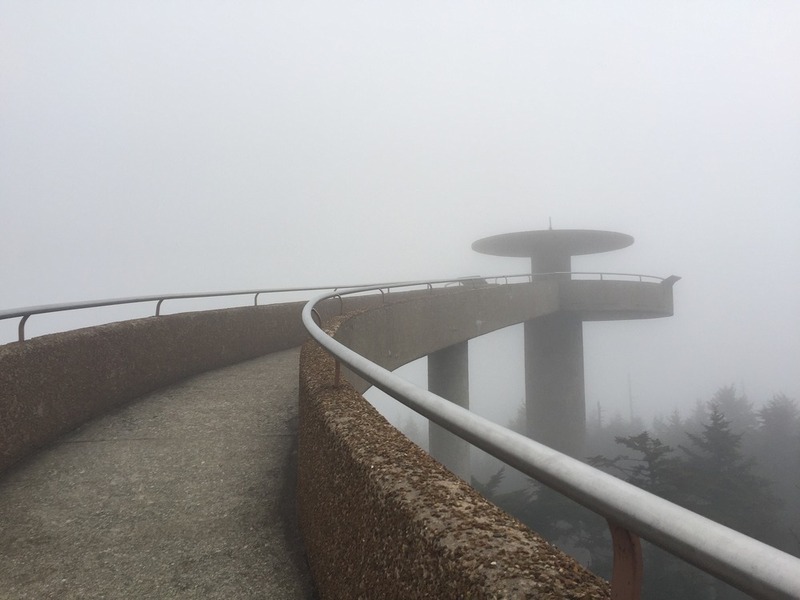 As it hugs the border between the two states, Clingmans Dome is the high point of the Great Smoky Mountain’s main ridgeline in western North Carolina and eastern Tennessee. 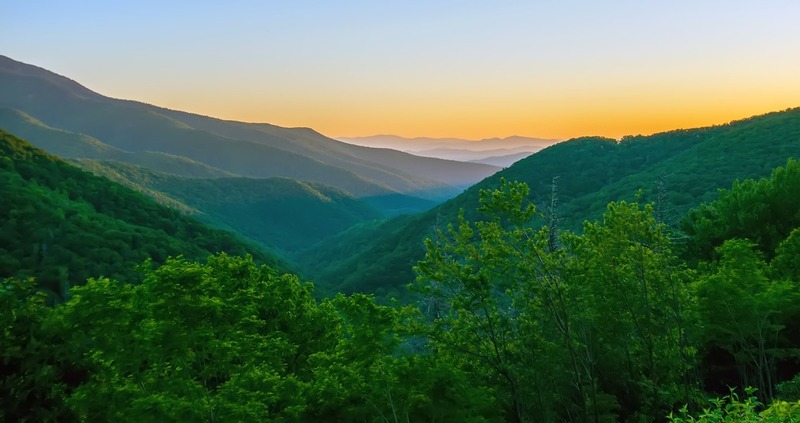 The Smokies are part of the Appalachian mountains that stretch from northern Alabama to Canada in Quebec. They are also part of the Blue Ridge Mountains that run from Georgia to southern Pennsylvania. The road to Clingmans Dome trailhead starts near Newfound Gap, just south of it actually. The 7-mile road reaches elevations of more than 6,000 feet where harsh winter conditions see its closure from December 1 through March 31. And with good reason! The summit gets an annual precipitation of about 85 inches (which is roughly what rainforest get) with snowfalls as late as May and as early as October. No matter what time of the year you visit, it will definitely be cooler than some of the lower elevations in the park and Gatlinburg. The trail to the summit and observation tower is paved but a bit steep. It is one of the easier trails in the Great Smoky Mountains National Park due to the short distance and paved trail, but the elevation can make it difficult for some. In a half-mile, the trail gains over 300 feet in elevation. Along the trail, you will find a variety of flora and fauna. Wildflowers like bee balm, spring beauty, pink turtlehead, and blackberry bushes attract bees, butterflies, and hummingbirds. From the observation tower, on a good day, the view is an endless sea of mountain ridges and valleys from where you can see the entire Smoky Mountain ridge, including five states! The views you see of the landscape that surrounds are iconic and characteristic of the Great Smoky Mountains National Park. 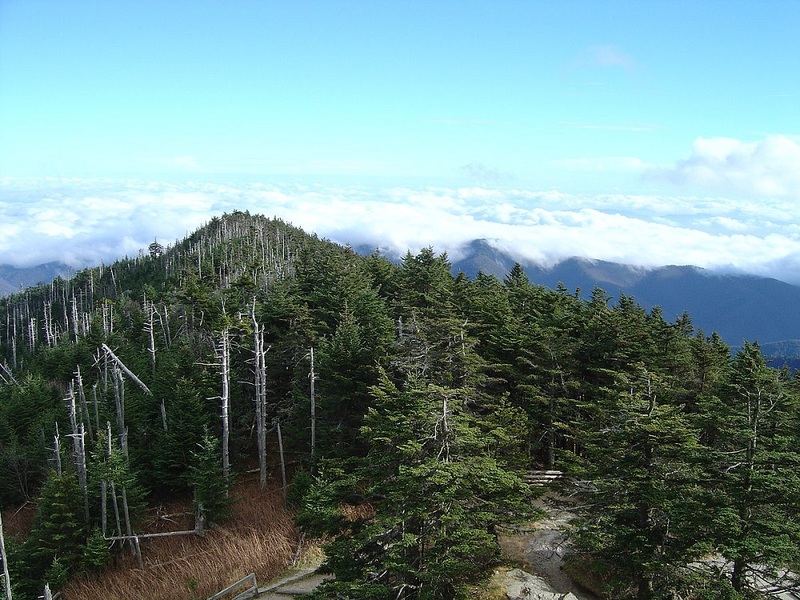 Even though Clingmans Dome is in the southeastern United States, its environment is more like that of a Canadian spruce-fir forest. Honestly, this is probably one of the reasons why Tim loves it so much. Clingmans Dome and its surrounding area are one of the few places in the world where Fraser fir trees grow wild. Though they are grown commercially on farms across the country for Christmas trees, their natural habitat is only in North Carolina, Tennessee, and Virginia. But only in select areas with elevations over 4,500 feet. Unfortunately, there are very few mature Fraser firs are left in the area. If you visit Clingmans Dome in the winter you don’t notice it as much, but the rest of the year when surrounding land is lush you will notice quite a few dead trees. The culprit is a tiny non-native beetle, known as the balsam wolly adelgid, feeds on the sap of the tree and slowly kills it by taking away its inability to absorb nutrients. The tree eventually weakens and dies.